In Wisconsin, fall is a beautiful time of year but it can also be rainy and damp. It’s important as a homeowner to take precautions that will keep your basement from flooding. Today, we’re talking about home maintenance, specifically 4 tips you can use today to protect your basement from flooding this fall. 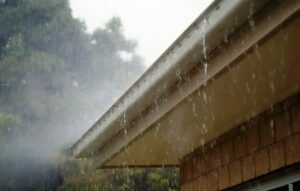 Be sure to clean and maintain the rain gutters and downspouts on your home. The fall leaves will clog the rain gutters and downspouts forcing water to spill over the gutter next to your foundation walls. Keeping water away from your foundation is key to keeping your basement dry. In regards to downspouts check to make sure they are securely attached and directing water away from your home. A rule of thumb is to have downspouts direct water at least 3 feet away from your foundation. Does your yard slope away from your foundation? It should. Proper slope helps the water and snow melt run away from your home. This prevents the water from pooling next to your foundation thus keeping your basement from flooding. This is why keeping your downspouts clean and diverting the water three feet from the home and the slope of the yard work together in harmony. The water should not run back towards your home’s foundation. This is a good time of year to visually inspect the exterior of your home focusing on the foundation. Look for cracks in the foundation and repair any you may find. If this isn’t something that you can do on your own, call in a professional. Cracks in the foundation will let water into your basement quickly and easily. 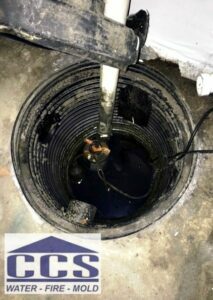 We find that many basement floods are caused by sump pump failures. Failures are common because most times, your pump is not running on a steady basis. However, during the fall and spring, the pump tends to run much more frequently. This can be hard on the mechanics of the pump causing it to fail when you need it most. Verify that your sump pump is plugged in and check your pump throughout the year to make sure it turns on. Next, we urge you to check your insurance policy. Most insurance policies do not cover a flooded basement if it is due to a malfunctioning sump pump. The extra dollars you need to pay to make sure you have the proper coverage is worth it. The damage a flooded basement can cause adds up quickly. In summary, prevention is always the key. By maintaining your property and handling any items as they crop up, you’ll preserve your investment now and into the future. An ounce of prevention is worth a pound of cure…so true in keeping your basement from flooding.